Keeping the mind sharp and clear is important for people of all ages, but it can be particularly important for seniors living in assistive care. Today we’re going to talk about some of the ways that you can help your loved one maintain a strong sense of neuroplasticity for as long as possible. There are a ton of great games that you can play with your loved one or that your loved one can play on their own to keep their brain active. Matching games like Bejeweled where you have to group similar items together are good. “Spot the Difference” games can also help your loved one activate important components of their brain. There is a website called “Cranium Crunches” that was specifically designed to help people work on improving cognitive function. The website was designed by a woman named Ruth Curran. Curran was injured in a serious car accident that affected her cognitive function. Since her accident and recovery, she found that there are helpful games that can be played to improve function. Even going for a simple walk during the day can mean a world of difference for your body. Along with working the muscles, walking can also help to alleviate stress and lift your mood. Who knows, you might even see something nice on your walk like a woodpecker or a deer! Whether you’re chatting about the weather, reminiscing about the old days, or just telling a funny story, talking with others has a healing effect on all of us. Connection with others, even if they’re animals, can help you combat loneliness and make you feel good if nothing else. In fact, animals are some of the best listeners. Eat Foods that Fuel Your Mind! Food does so much more than fill our bellies. It provides our bodies with the energy we need to function properly. Though sweets and snacks may be fun to eat, they’re not going to give you what you need. Besides, fruit can be fun too! One of the nicest things about having your loved one live with us here at Kenwood Care is that we’ll make sure to take care of their mind as well as their body. Through support and care, your loved one can live life to the fullest. 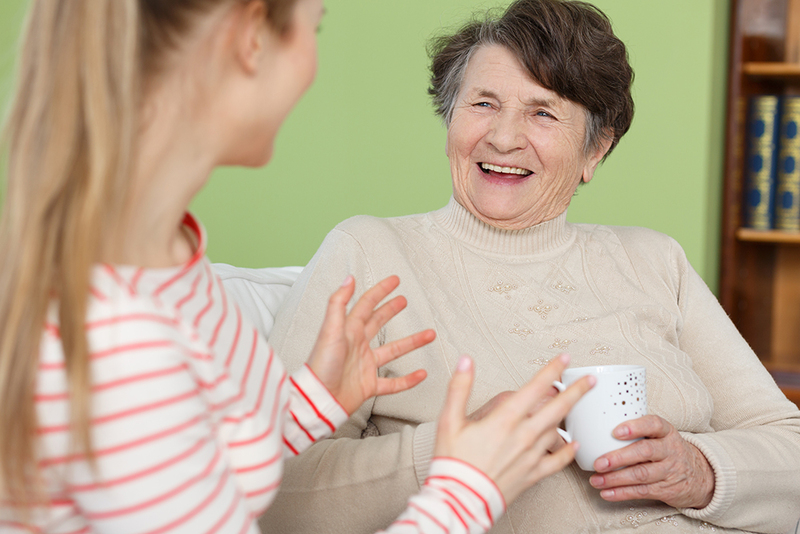 Contact us today to learn more about our homes and how we can help your loved one.